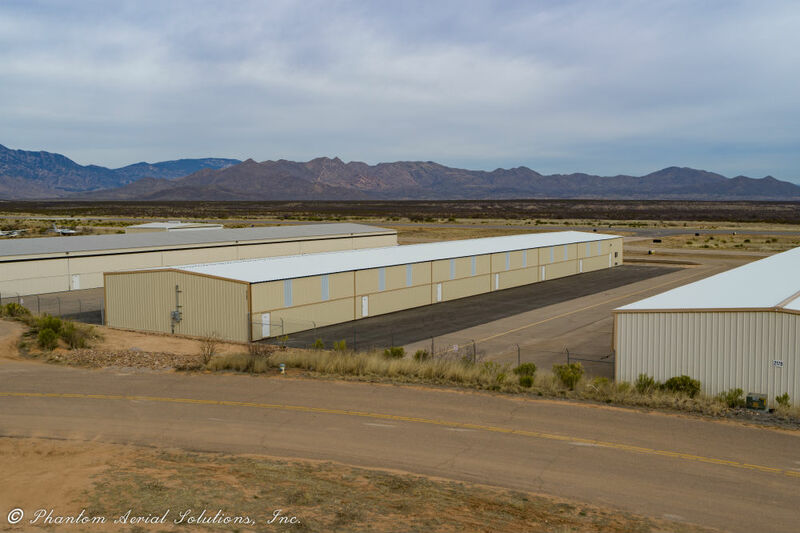 Benson Plane Barns - KE&G Construction, Inc. This project consisted of clearing and grubbing the site, subgrade prep which was minimal due to the site being relatively flat. There was a total of 44 column footings that required over excavation with a 5ft blow out on each side. This was completed using a backhoe and wackers. The slab was constructed of 5” thick reinforced concrete that was poured in sections to accurately get the required .5% slope. Each of the 44 columns had four anchor bolts that were each meticulously surveyed to ensure complete accuracy. The pre-fabricated building was then erected by Weather Guard under the supervision of KE&G. During the time of the building installation cement treated base was installed under the areas to be paved to allow for a nice hard subgrade. Once the building reached, roughly 30% complete the electricians and fire suppression installers were brought in to begin running the conduit runs to each of the 12 individual bays as well as the fire riser room and pilots’ room. The building framing was completed in the first parts of January 2019; this allowed KE&G to come in and pave the sloped entrances to each bay. This area is crucial that the slope be low enough to allow easy movement of the aircraft held in each bay as well as shed water to the main drainage ways. Once paved the final items could be completed with inspections ensuring operations of all the systems and tying into the main power feed with SSVEC. The main challenges on this project were the slow response on questions, as well as getting the electrical and fire suppression systems set up with the City Of Benson and SSVEC. This was a great project to add to our projects because this was a unique Design, Bid, Build project in a rural area and on an airfield. We were able to overcome all obstacles through perseverance and great team work. This was a collaboration between KE&G Tucson and KE&G Sierra Vista which turned out to be a great opportunity to work side by side with each other.